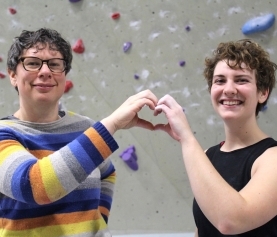 Home / Climbing / What’s Adult Team? So Cotey, what do adults do? We drink beer some times? We can buy cigarettes—but you shouldn’t do that. Definitely don’t do the cigarette thing…like really don’t. I meant on Adult Team. Oh! Adult team is a beautiful magical place where young and old people (can I say that?) meet at EVO. We come every Sunday to train ourselves physically and mentally to excel in our fleshy forms. 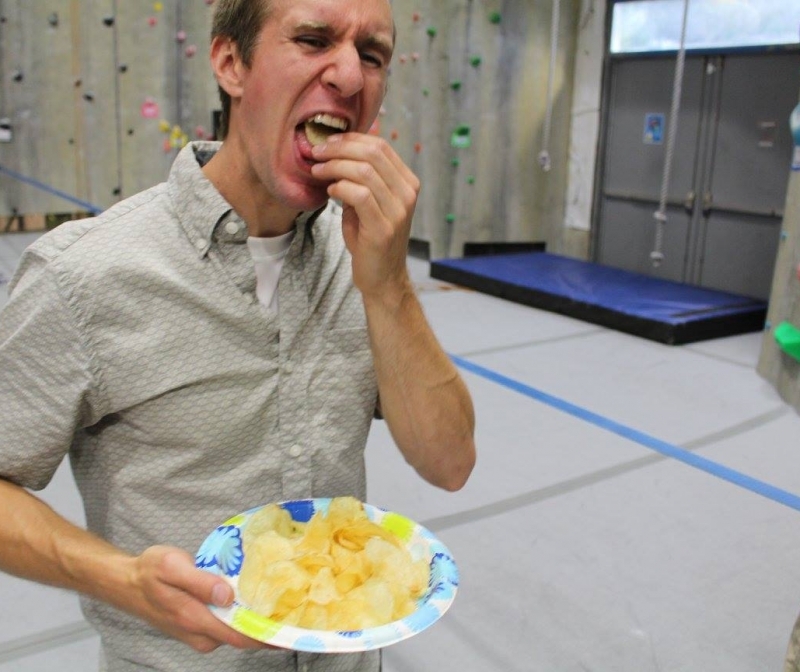 Basically, if you have a goal at climbing, our coach (Sean Wieboldt) pushes you to a point past where you would bring yourself. So it’s encouraging and vigorous but it’s personalized to each individual, so everyone is working towards their own goal(s). And this happens on Sundays? Yep. Starting October 2, 2016. We meet for three hours, after the gym closes. From 6-9. And it’s $180 for members and $225 for nonmembers…We climbers are poor. Do you think it’s worth the money? Absolutely. Adult Team brings you beyond the threshold you might take yourself, and that’s where you get your extra gains. Adult Team means getting to the next level. You learn the technique. Sean creates an entire program catered to the goals that each individual Team member wants focus on over the course of ten weeks; getting comfortable taking whippers, upping your grade, working on footwork, anything. So you’ve really seen yourself improve from being a part of this program? Yes. I’ve only been climbing a year and I’m climbing 5.11 and bouldering V5. 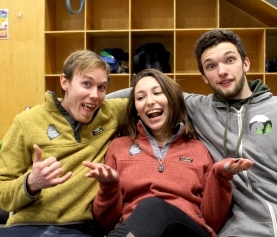 With adult team I’ve learned a lot about my own climbing that helps me even when I’m not at Adult Team. Anything else we should know about Adult Team? 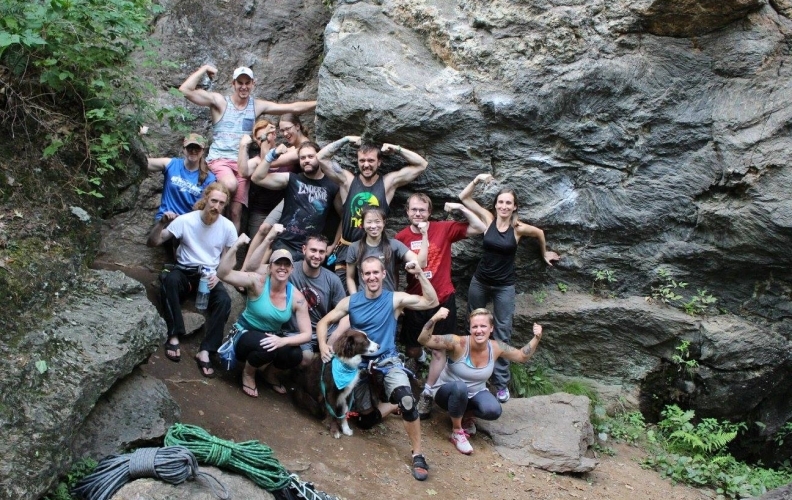 The last adult team we went outdoors and had a blast. Everyone helps each other reach their goals. Yeah that’s totally how it is. It’s awesome. **Coach Sean Wieboldt is an AMGA Single Pitch Certified Instructor and has been coaching competitively for the past four years. For each Adult Team Member, he creates a customized program based on his or her primary goal, secondary goal, strengths, and weaknesses. 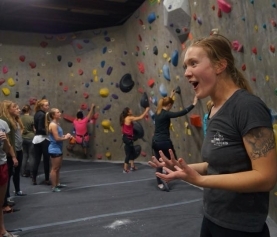 Goals range from raising onsite grades, power in bouldering, confidence in falling, confidence leading, mental game, and/or basic technique. The next Adult Team 10 week Program starts on Sunday, October 2, 2016. 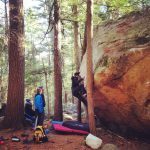 3 Places to boulder near EVO Portland!